I went through the parcel below stone by stone. I picked up in each of the 45 diamonds and examined them. I selected the best (in my opinion) 8 diamonds for inventory. This is one of those diamonds. 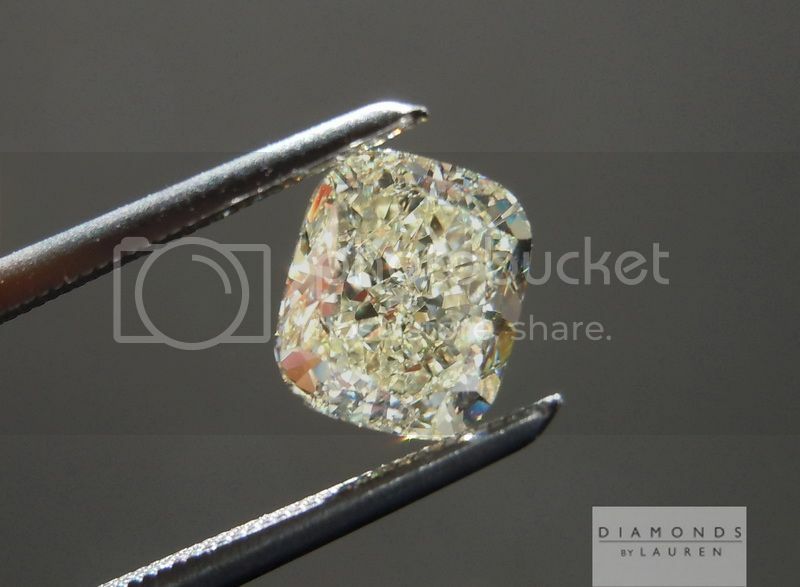 I love the fact that although I bought the stones from a parcel, without the GIA reports, the cutter cares quite a bit about the finish of the diamonds they produce. The polish and symmetry were both rated VG by GIA – that's quite rare for a cushion. 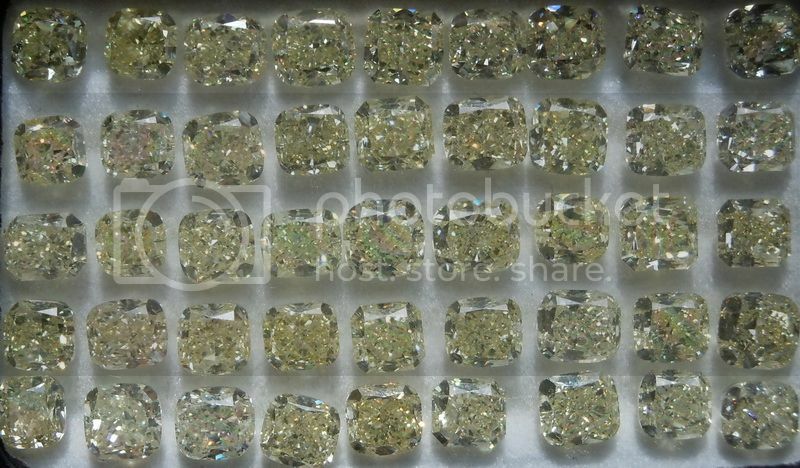 The light yellow color combined with this cut creates a lovely lemony glitter. 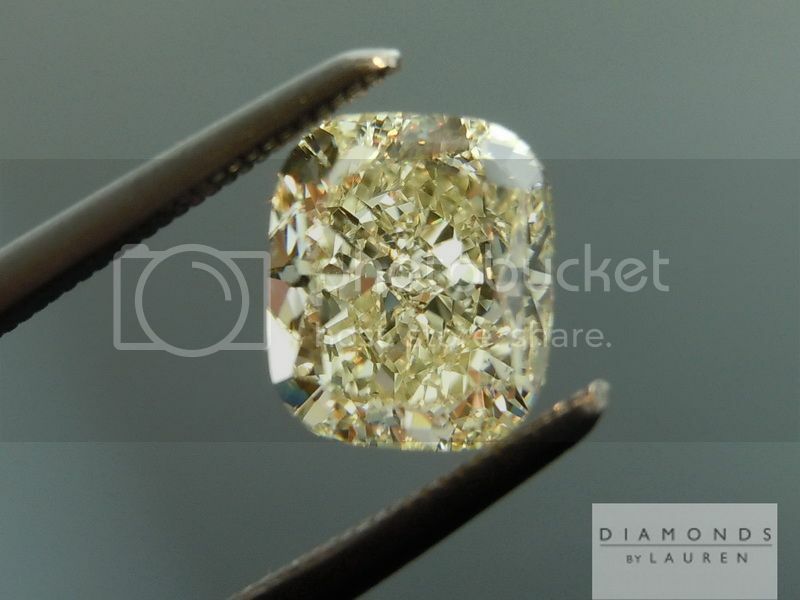 When looking at the pictures, you may notice that some show the diamond slightly more yellow than others – this is as it should be. 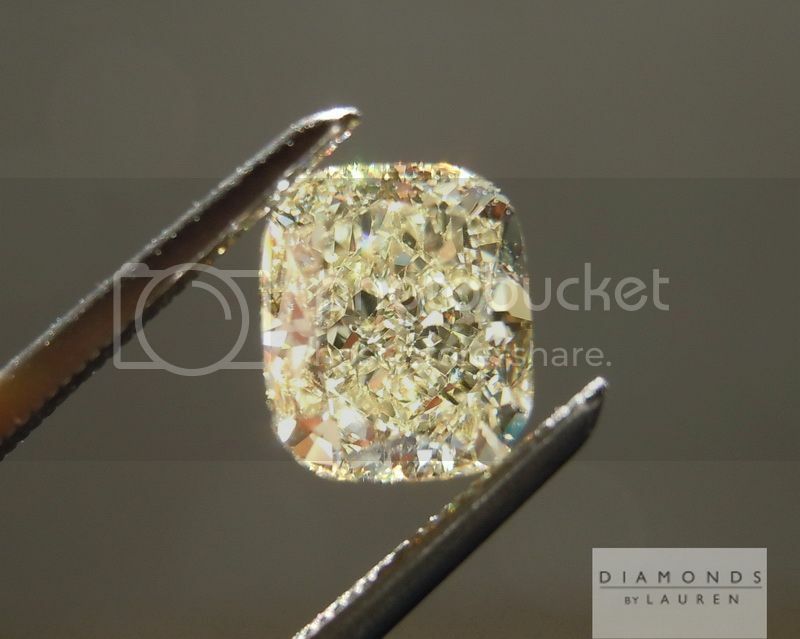 The reason is that diamonds of this color change color as the light around them changes color. 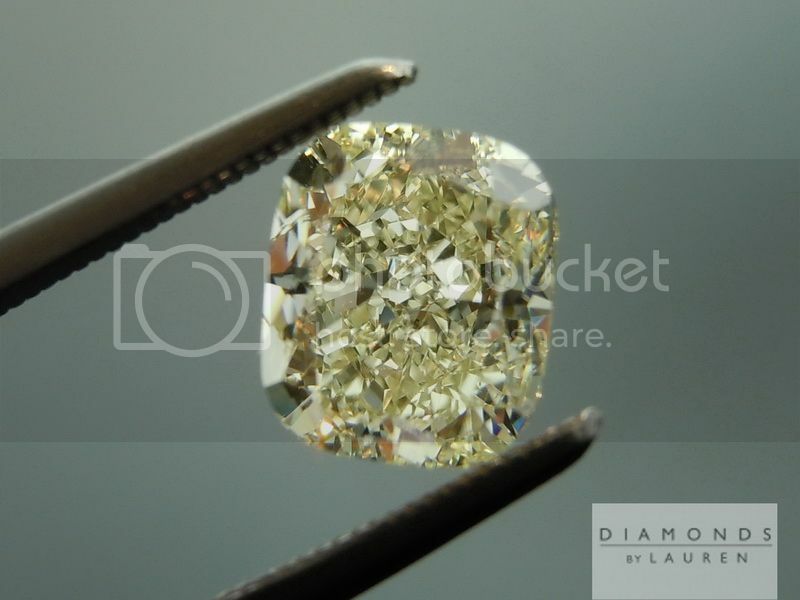 Stones like this set beautifully into rings, and will show distinctly yellow. 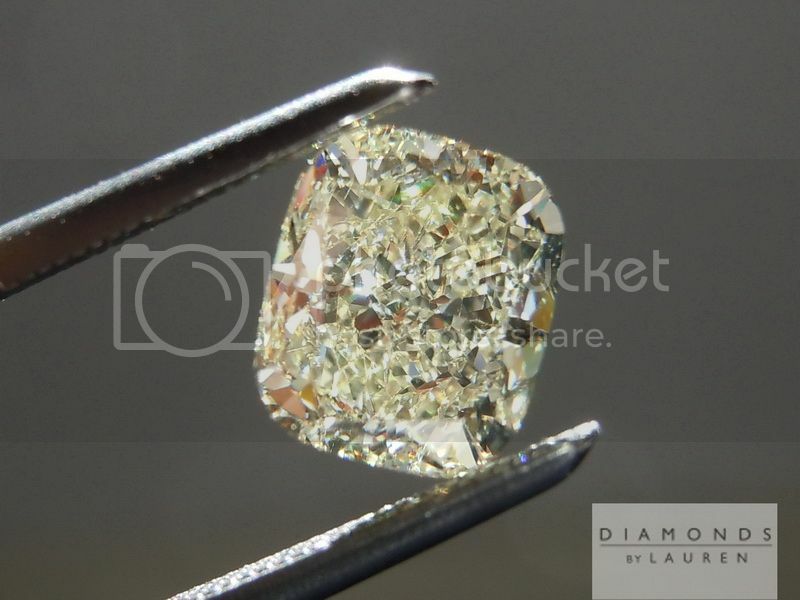 In terms of clarity, it is a super VS2 diamond. Remember, clarity grading is based on the presence of imperfection/s. In the case of multiple imperfections, the grade will be cumulative. 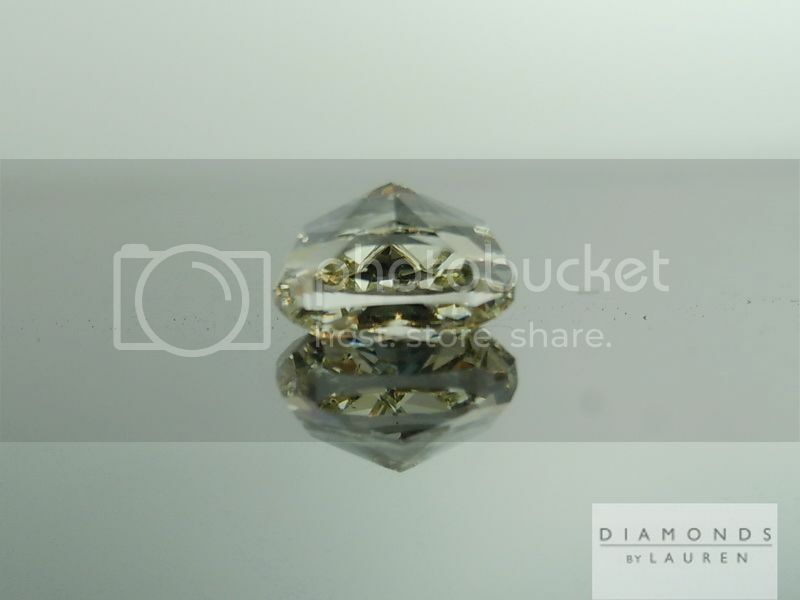 For example: this diamond has two miniscule crystals near the edge. 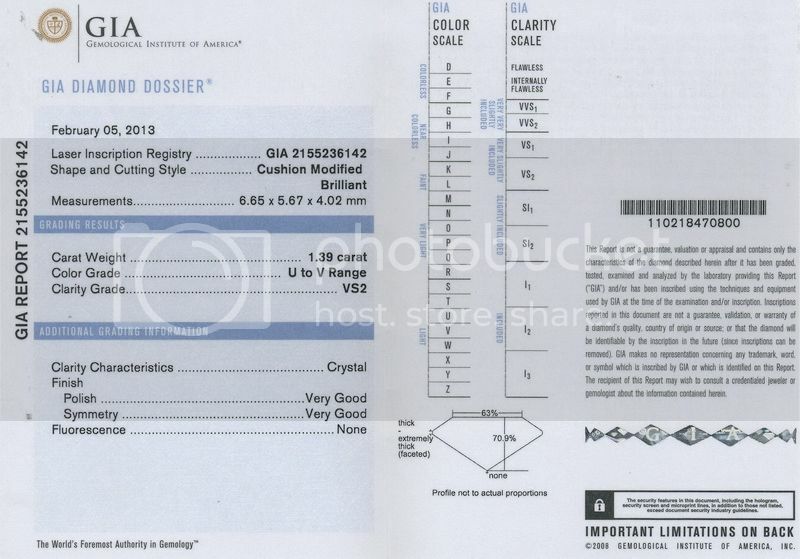 One of them, on its own, would render the diamond a VS1 Clarity. In this case, the second one is a VVS2 sized crystal. 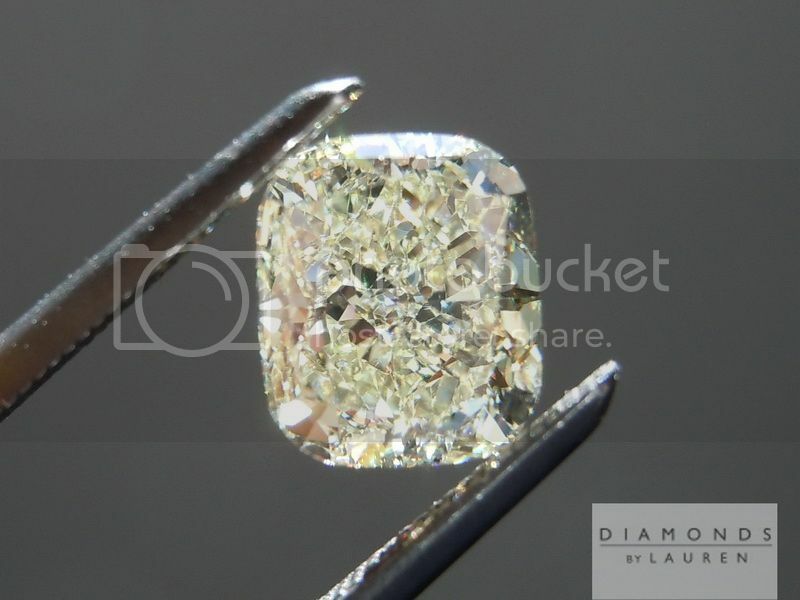 That is to say if that was the only imperfection, the diamond, it would be a VVS2. 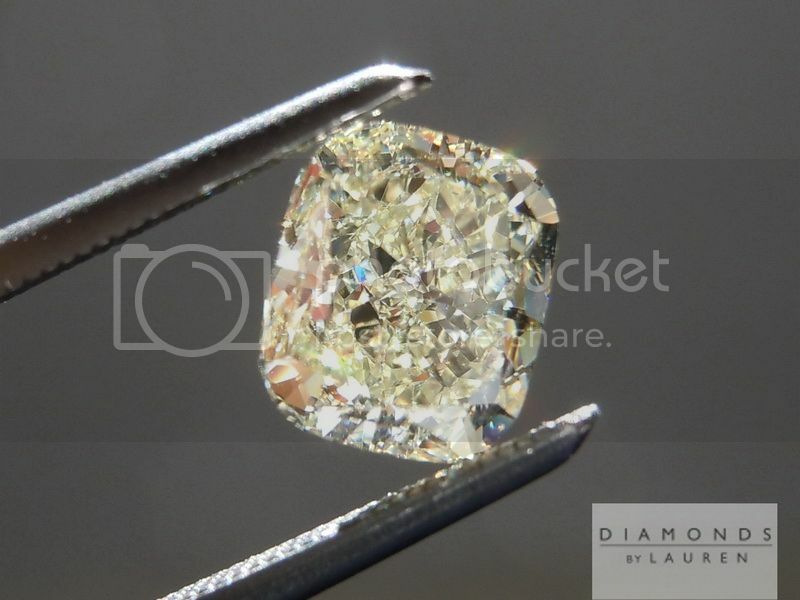 When considered together, they cause the diamond VS2 grade – in this case totally eye clean. 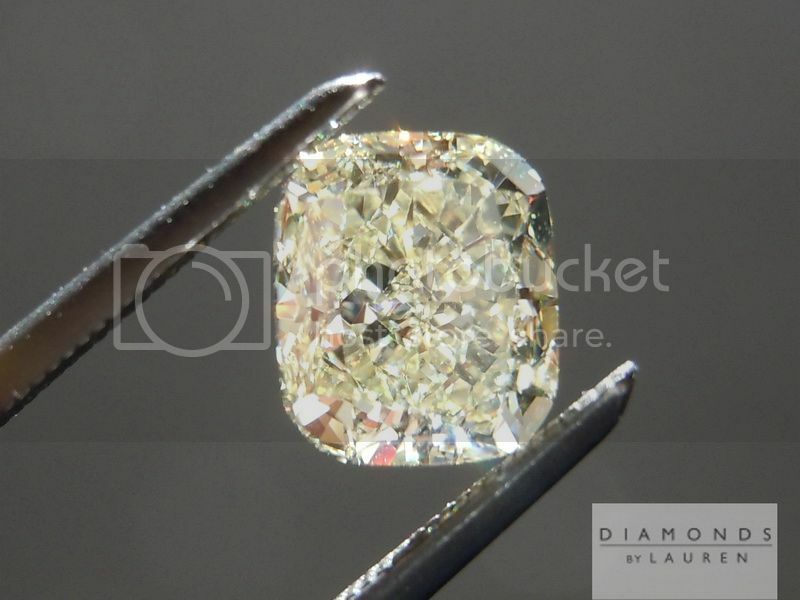 One of the greatest things about diamonds of this color is that they are among the least expensive well cut diamonds you can buy – yet their looks would suggest otherwise.